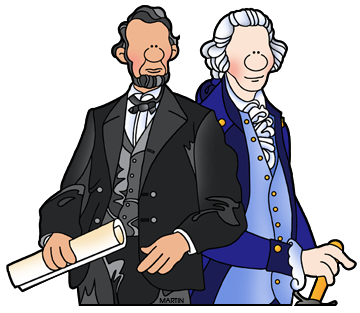 Welcome to Presidents Day Power Point Templates by Phillip Martin Clip Art! Free for Classroom Use. For more information, click here. These free President's Day PowerPoint Templates are great for your personal presentations. You can download these free PowerPoint templates and use the art and titles that are provided. Or, you can substitute the art from Phillip Martin's Clip Art site and create your own titles. Continue here to see the Government Clip Art Collection. Return to the Templates Index. Go on to phillipmartin.com for clip art for your PowerPoint presentations.